The story tells, that the Kiyosumi garden was once part of the businessman Kinokuniya Bunzaemons property, who lived during the Edo Period (1603 – 1868). 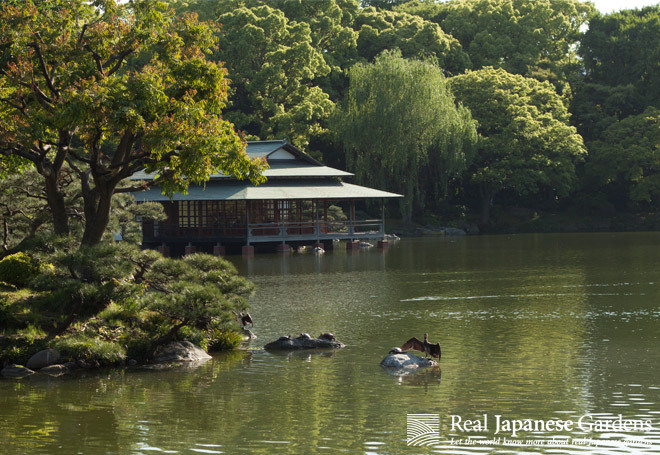 However, during the Meiji period (1868 – 1912), the Garden was remodeled by Iwasaki Yataro, the founder of Mitsubishi. Iwasaki purchased several gardens, but Kiyosumi garden was his stage to showcase special stones, collected from all over Japan. Teahouse in the Kiyosumi gardens. 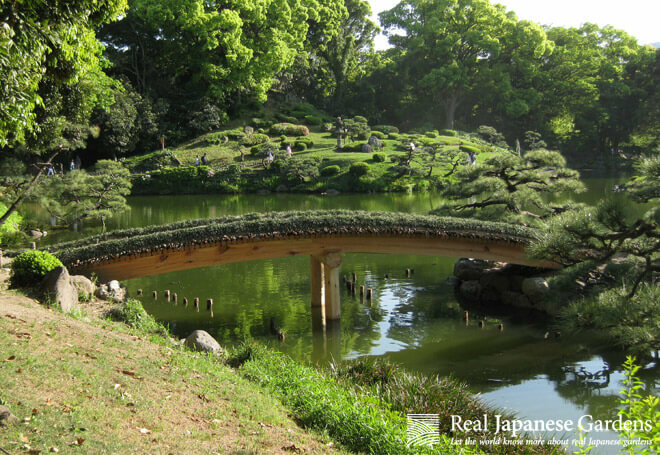 Wooden curved bridge in the Kiyosumi gardens. 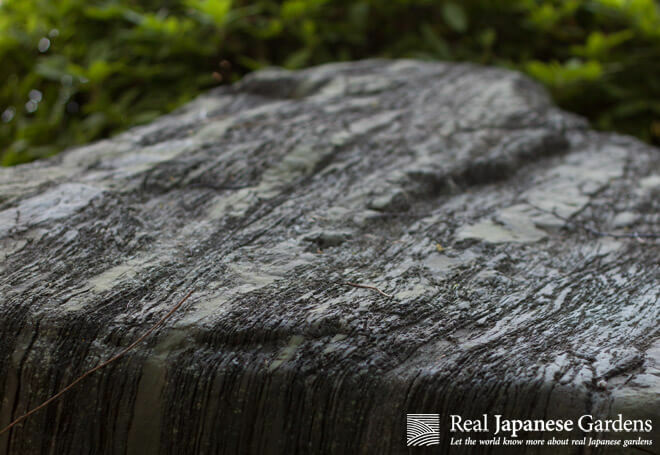 Special stone in the Kiyosumi gardens. 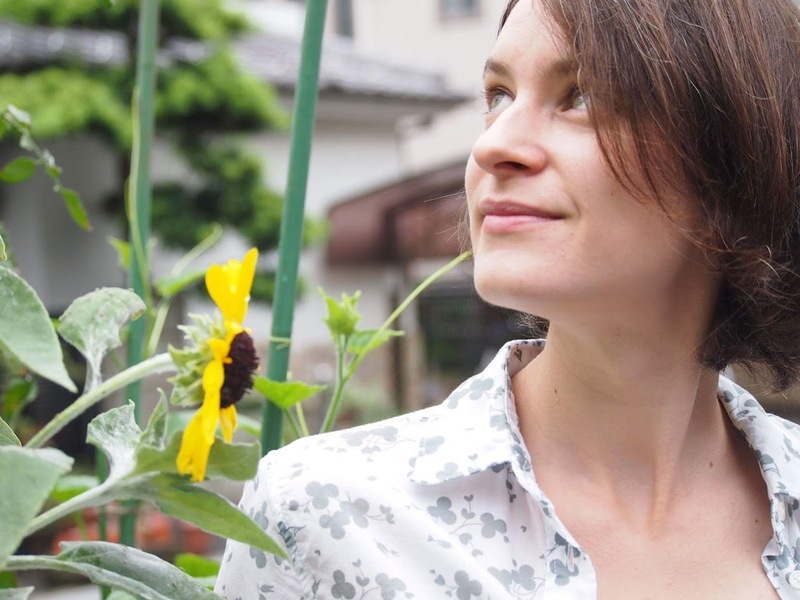 More information and a digital guidebook are available on the website of Real Japanese Gardens.